The ESPN era has officially begun. 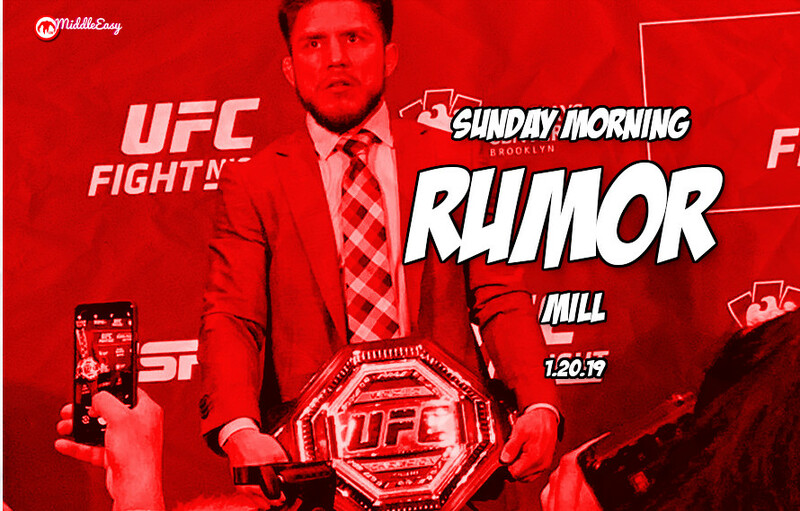 The Sunday Morning Rumor Mill and MMA rumors may never be the same. In 2019, we all are probably overstating the importance of MMA being on ESPN. Yeah it’s cool to see UFC fights covered on the biggest sport network in the world but are fans suddenly going to start watching SportsCenter, First Take, and more because of it? Who knows but 2019 should be a very interesting year for MMA just because it will be different. Reheat your weekend leftovers and relax with your Sunday Morning Rumor Mill. The huge Conor McGregor rumor has returned. If you know where to look, leaked pictures and video have surfaced that point to Mac being back in trouble. Despite all of these problems, it may be the type of situation where Mac can buy his way out. All rumors point to the UFC wanting to run back Henry Cejudo versus TJ Dillashaw. The rematch would take place at 135 pounds and would correct the course for the bantamweight pecking order. Two Brock Lesnar rumors have come up on the past week. Lesnar has his opponent switched for his upcoming WWE title defense. Many view this as another sign Brock will be keeping the title through WrestleMania. Lesnar working with University of Minnesota wrestling team is rumored to be more about his pro wrestling career rather than MMA. Brock’s return to the UFC will now likely not happen until the summer of 2019. Previous articleHighlights: Manny Pacquiao Dominates Adrien Broner For A Unanimous Decision Win!